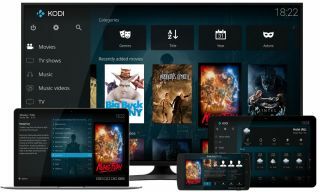 With streaming having become the new anti-piracy battleground, and Kodi’s third-party add-ons regularly offering access to pirated materials, the issue of where to lay blame has been a point of contention. The people behind Dutch service Moviestreamer are one such group now under fire. It charged users for access to an interface which made it incredible easy to locate illegal streams hosted all over the web – but crucially didn’t host content itself. It even offered a ‘VIP’ tier for easy access to the best quality illegal streams. It came to the attention of Dutch anti-piracy group BREIN. Though it failed to bring legal action against Moviestreamer on the count of it selling an illegal product, it has been able to take the company to court for providing access to the streams, placing it in breach of copyright law. It’s a similar situation that has previously hit torrent websites like Pirate Bay, and sets a new, tough precedent for pirates: offering access to copyrighted materials, whether hosted locally or remotely, could land you in big trouble should the local authorities choose to pursue you.